Goshen Scout Reservation in Goshen, Virginia has six camps located around Lake Merriweather. Since 1967, Boy Scouts from all over the Washington, DC area have attended week long sessions throughout the summer. 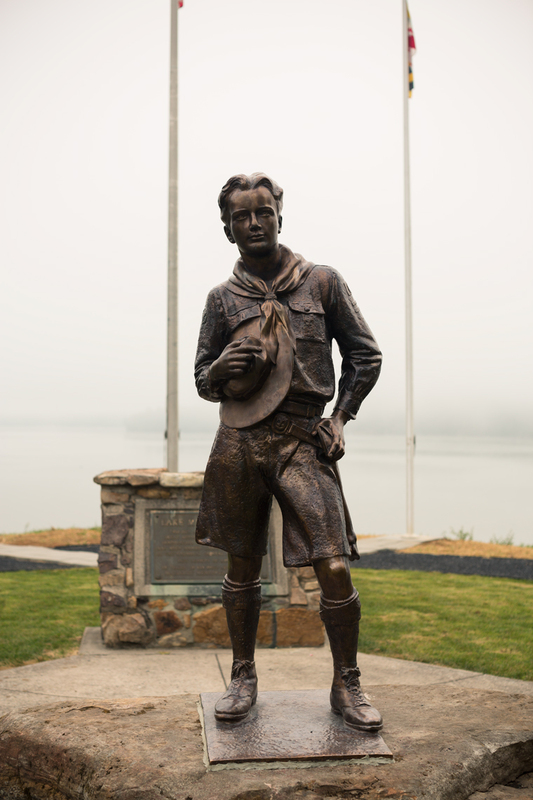 A statue of a Boy Scout stands tall between two flag poles outside of Goshen Scout Reservation headquarters.